regularly, as we add new items. This circuit board set replicates the lighting effects of the ENTERPRISE NX-01 as seen on TV. This set is made up of three boards. 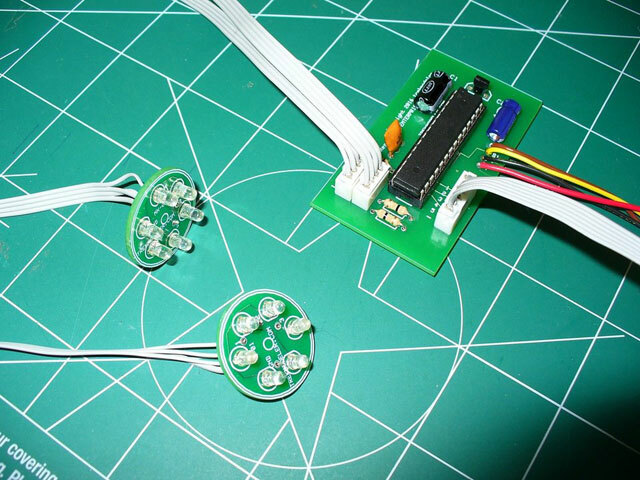 One main control board and two circular Bussard boards. The main board measures 1.4" X 2.5", which makes it small enough to fit almost anywhere in the Polar Lights 1/350 scale Enterprise NX-01 model. The two circular boards measure approximately 1" in diameter. 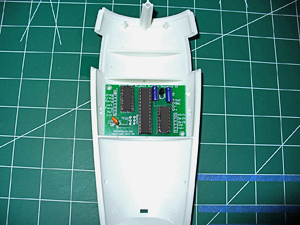 The main board controls the strobes and running lights to flash and blink, as per the CG miniature. It also features a separate switch to activate the phase cannons and photonic torpedoes programmed firing sequence. Last, but not least, the two circular boards accurately simulate the signature 'spinning lava' effect for the Bussard domes. Window and interior lighting are not directly controlled by the board functions, but by a separate Toggle Switch which is included. 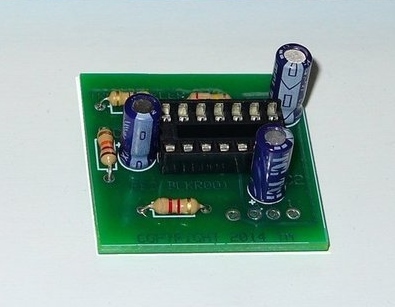 The board can be powered with an independent 9-12V DC wall transformer or even a 9 volt battery. LEDs and power supply not included. This circuit board replicates the shuttle bay landing lights sequence seen in the movies. This board measures 2.5" X 1.25", which makes it small enough to fit almost anywhere in the Polar Lights 1/350 scale Refit Enterprise 1701/1701-A model. However, it was designed to fit best in the aft most chamber of the secondary hull belly. It drives two rows of 12 LEDs (24 LEDs) or two rows of six LEDs (12 LEDs), depending on the modeler's preference. It is a stand alone board, but it was also designed to hook up to our Refit Drydock Startup Sequence Board. This board will also work with our v3.1 Refit Lighting kit. The board hooks up to our lighting kit via positive and negative wire terminals. 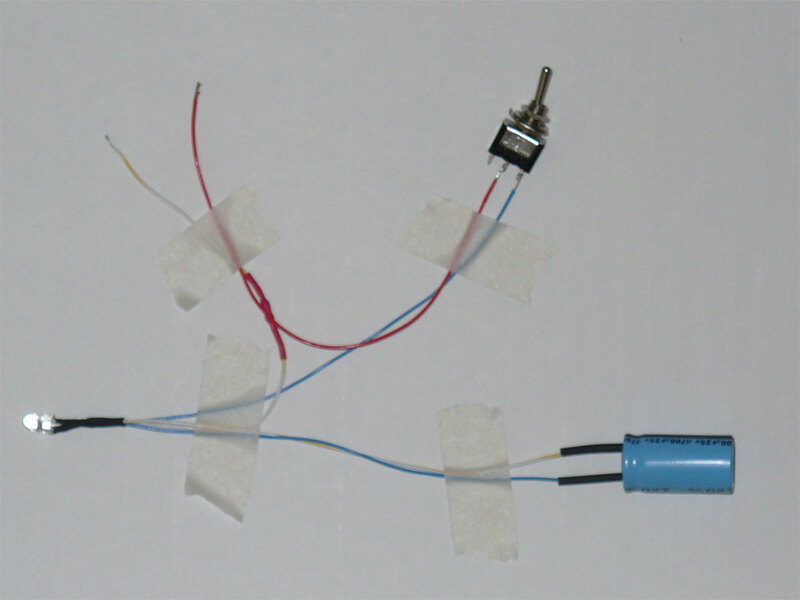 The board can be tied into another lighting system and powered, as long as it is 9-12V DC. The board can also be powered with an independent 9-12V DC wall transformer or even a 9 volt battery. This is our new Refit Enterprise 1701 Drydock Startup Sequence FX Board. It's function was designed to mimic the famous Startfleet drydock startup sequence from ST:TMP right before the Enterprise was depicted to leave the drydock in Earth orbit. The board measures 2.5" x 1.6" (6.4mm X 4.1mm). 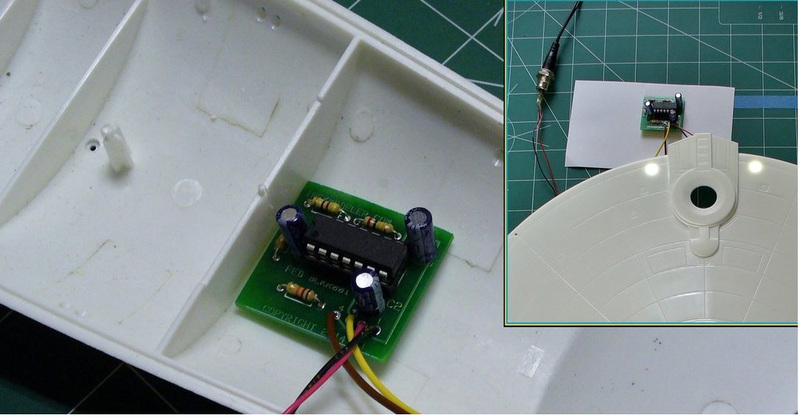 It is a pretty small board with a low profile, designed to fit in the forward most chamber of the secondary hull belly area, right above the botanical garden guide pin. However, it can also be installed in your display base. It works with two (2) momentary push button switches. The first switch activates "Mode 1" which is the actual startup sequence. The sequence begins with the windows or ambient interior lighting, thrusters and torpedo tube static lighting. It goes through the entire sequence as seen in the movie and ends up in 'impulse mode' with the impulse engines ramping up 5 seconds later. The second switch activates "Mode 2" which is 'warp mode.' The orange/amber deflector, orange/amber impulse crystal, and impulse engines all ramp down and the blue deflector, blue impulse crystal, and blue warp nacelles ramp up in their place. When the second switch is pushed again, it switches back to impulse mode, all while the floodlighting, strobes and running lights remain on, as per the movie. It runs on 9V DC and works very well with lots of LED strips. This board comes pre-assembled and ready to use. Just connect your LEDs in the proper order to the terminals on the board and you'll have the effect that you see in the video demo. The board comes with two (2) pre-wired RGB LEDs, 12" of flat ribbon cable, two (2) momentary switches, and two (2) SIP connectors for easy connection to the terminals. Instructions are simple and well illustrated, in color, and will be emailed to customers as a printable PDF document. 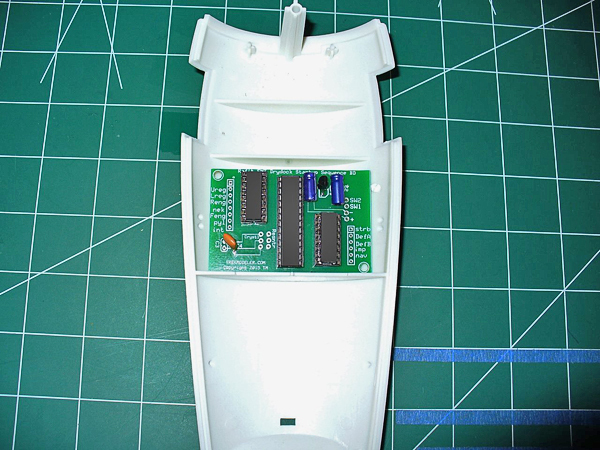 This board was designed to fit within the 1/350 scale Polar Lights Refit Enterprise model kit. However, the effects may be adapted to the smaller Refit model kits such as the 1/537 and 1/1000 scale versions and will fit in your display base. 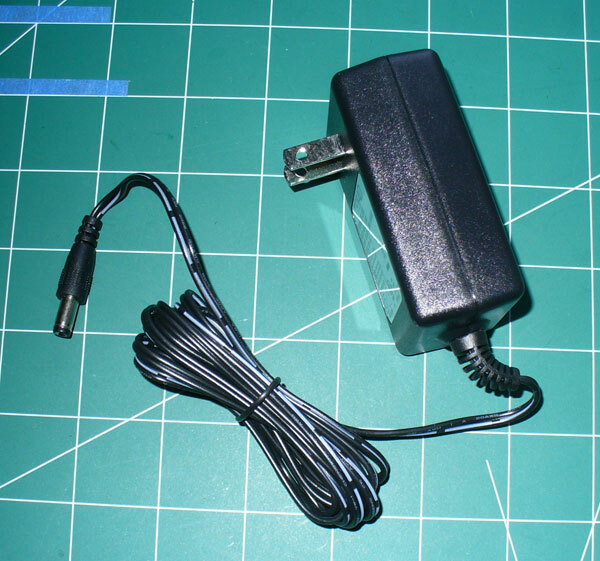 9VDC adapter is NOT included and must be purchased separately. 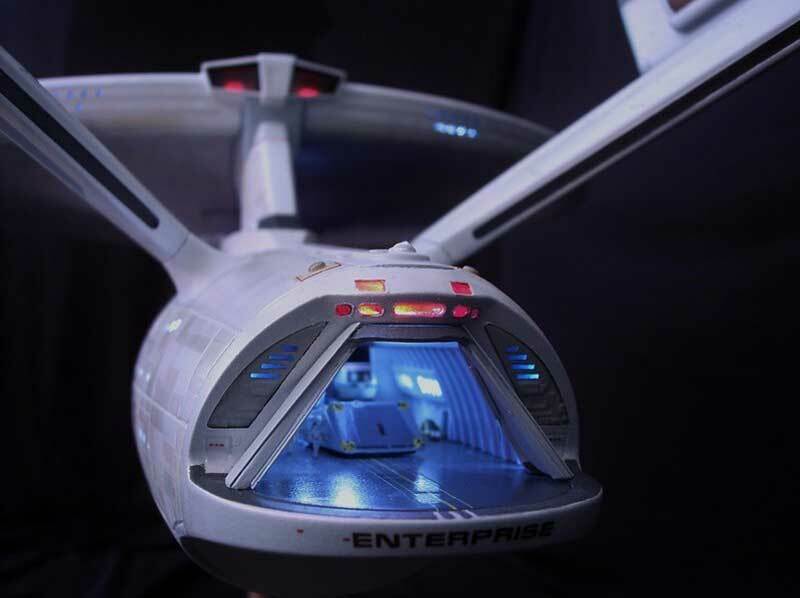 For decades, modelers and hobbyists have been attempting to recreate the look of the 'Star Trek The Motion Picture' USS ENTERPRISE NCC-1701(Refit). We at trekmodeler.com are no different. With this guide you will be able to recreate the beautiful paint effects that were achieved on the 9ft studio filming model built for Star Trek TMP. 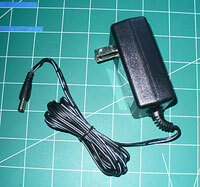 This 9V DC Power Supply works with every lighting kit that we offer. It can be plugged into a 120VAC outlet or the 240VAC of other countries. for your display base(2 switches, male/female connector, coax-jack). Power Supply NOT INCLUDED. 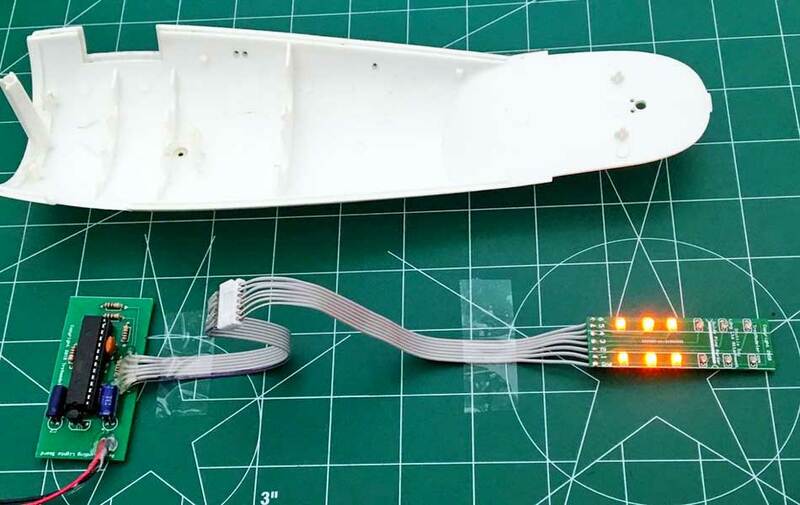 TrekModeler Electronics introduces this new 'Do-It-Yourself' Lighting Kit designed to fully illuminate your 1/1400 scale AMT/ERTL USS ENTERPRISE-D model kit. The kit contains just about everything you will need to illuminate the model. 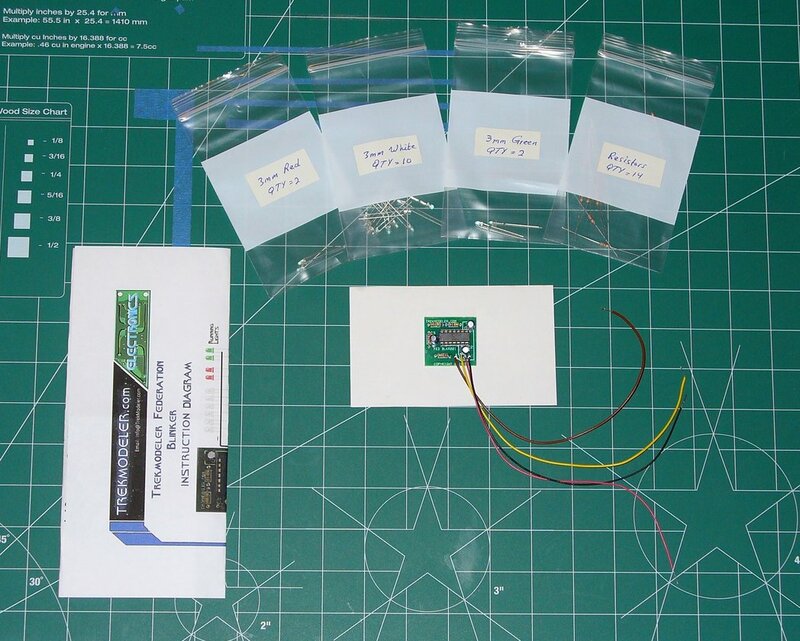 The kit includes LEDs, resistors, color-coded wires, heat-shrink tubing, a ready to install blinker board for strobes, electronic components for your display base (2 switches, male/female connector, coax-jack). Also included is a CD containing detailed wiring diagrams and instructions on how to prepare your model for lighting. Fits both the new clear molded release as well as the older opaque kit. This new board is pre-set with specific blink rates for the navigation strobes and formation (hull) lights of the ENTERPRISE NCC-1701 (Refit). Board measures 1.1" X 1.1"
This unique lighting system allows you to fully illuminate your 1/677 scale Revell/Monogram USS Voyager model with ease. It will literally take just a few minutes to install once you have prepared the model for lighting. Full color and bound instructions included will walk you through the entire process step by step. Voyager Lighting Kit in action! This pre-wired circuit will make the navigational deflector of your Federation Starship Model fade on and off at the flick of a switch. Federation Fader Circuit in action! TrekModeler Electronics introduces a custom made display base and stand designed primarily to fit your Polar Lights 1/350 scale Refit ENTERPRISE model. If you are planning on adding electronics to your model and are not sure of how to mount the finished piece, this simple and classic base/stand is a great solution. This base/stand will also fit your 1/350 scale NX-01 and 1/1400 AMT/ERTL ENTERPRISE-D. 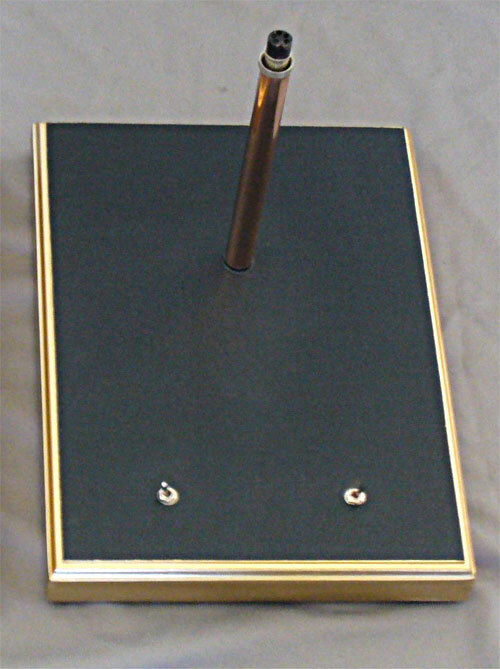 This item is great for modelers who would like to easily mount a lighted 1/350 scale Refit/ENTERPRISE-A to a custom base. 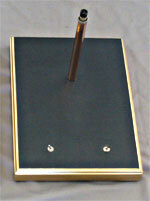 This item is great for modelers who would like to easily mount a lit model to a custom base. This item is great for most scale Star Trek and Star Wars models. Check Back Soon for More Products from TrekModeler Electronics! ©2012 TrekModeler. All rights reserved. This site best viewed at 800x600 monitor resolution, using Microsoft Internet Explorer 6 or greater.